Unless your home was just recently;y built within the last couple years, chances are your electrical wiring is outdated. New technologies were not accounted for when your home was originally wired, which means that high tech A/C units, high powered microwaves, and new appliances use more energy than old wiring can handle. Some signs that your house needs rewired include breakers shorting out, only being able to use one appliance at a time, or if you still have two pronged outlets. In order to meet the needs of the electricity your family uses, the wiring needs to be updated to accommodate the increase in use. When rewiring your house, we upgrade your electrical system to get the most efficient electricity flow possible. And by doing so, it reduces the risk of being shocked by old outlets, eliminates fire hazards, making your entire home safer, especially for younger children. 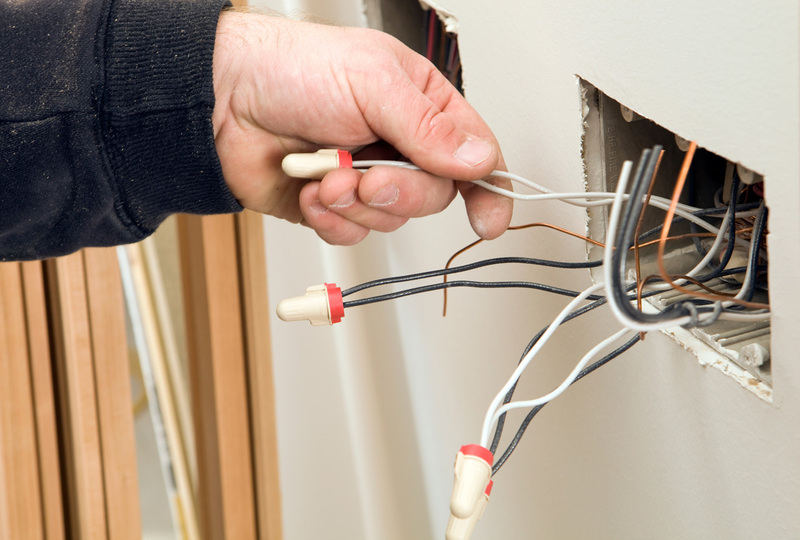 Our team of certified electricians specialize in rewiring entire houses to stay up to code and help get the most use out of your electrical system.